ST. GEORGE – The Falcons of Canyon View High School were sent packing back to Cedar City Thursday night after getting shutout at Panther Stadium, 45-0. Each team finished its regular season finale with a different taste in its mouth, so to speak. After barely missing out on the state championship last year, the Panthers are happy to be back in the postseason. On the other hand, Canyon View may be partially relieved the season is over as its first season back in Region 9 proved to be rather rough, finishing 0-9 on the year and 0-6 in region play. Though the final results may have been what some expected, the two teams played a rather competitive first half. The Falcons kept it a two-possession game, even holding the Panthers scoreless in the first quarter. For a team that averaged 36.8 points a game this season, the Panthers were a little slow out of the gate. 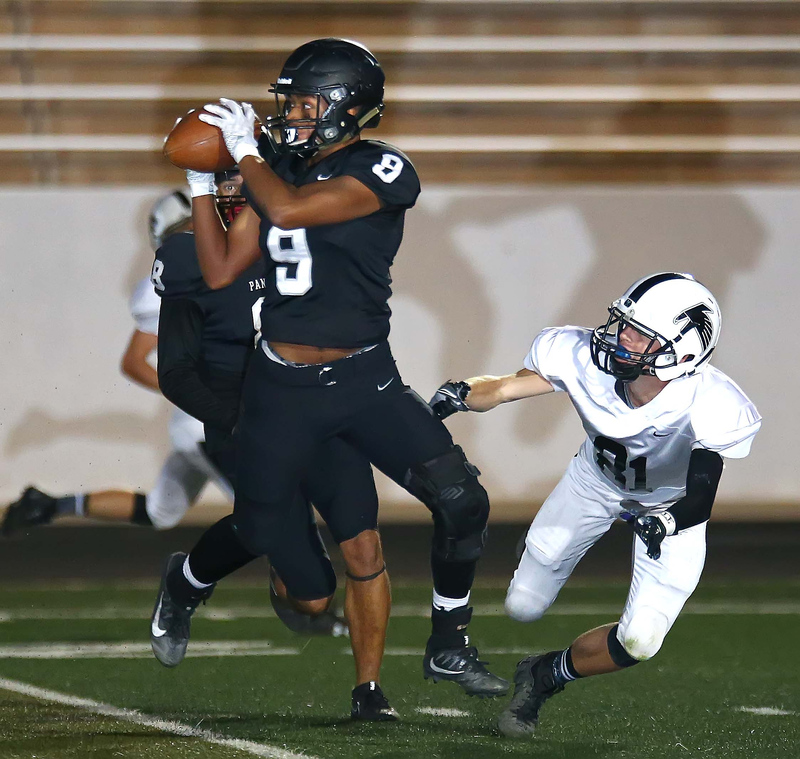 Forcing an early turnover – an interception by safety Jeshan Allen that was returned to the Falcon 37-yard line – the Panther offense struggled to get ignited while it sat deep in Canyon View territory. 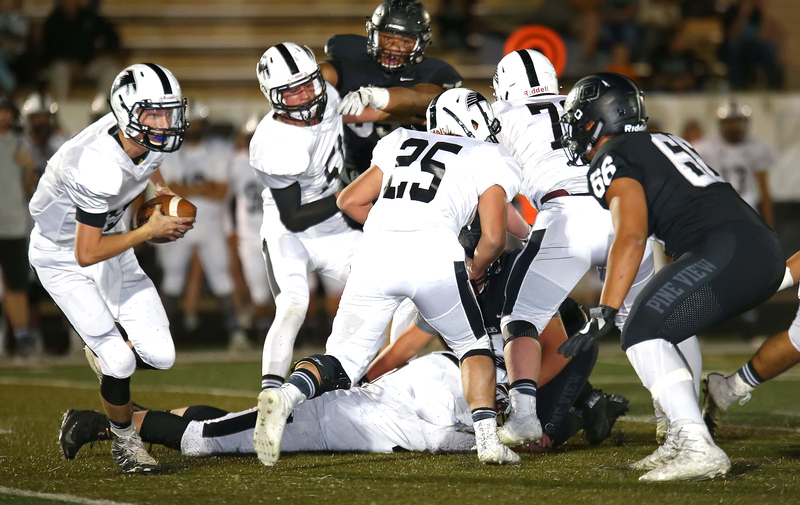 Pine View gave the ball right back after quarterback Dallin Brown failed to scramble for the first down on a fourth-and-6 play. 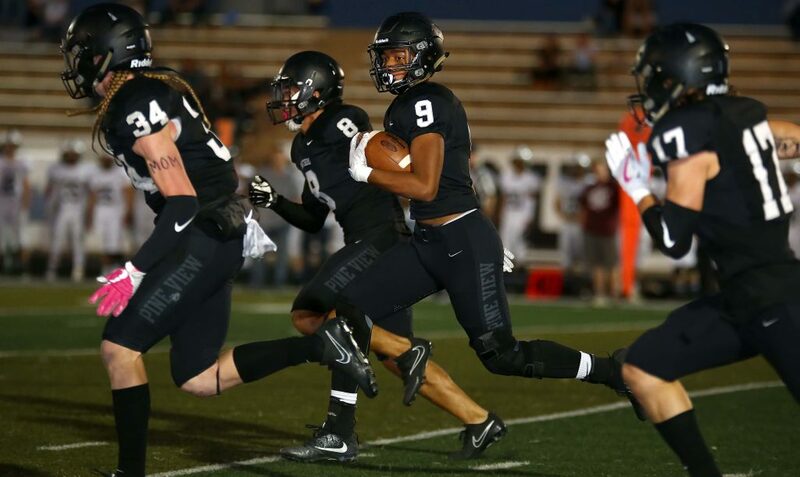 After forcing a quick three-and-out from the Falcons, Pine View finally began its first scoring drive toward the latter part of the first quarter and into the second. 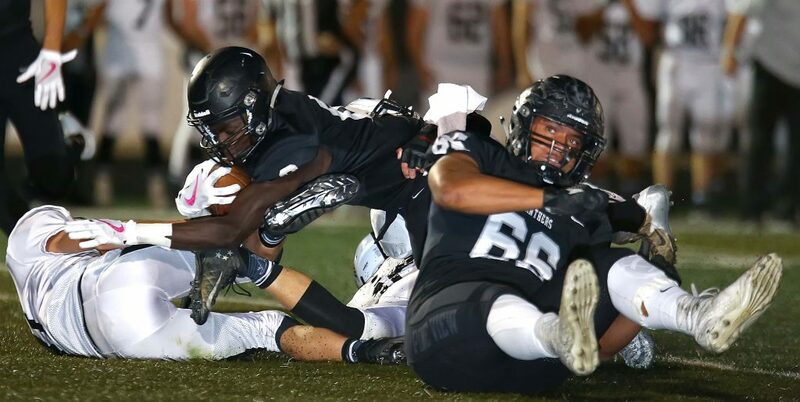 Following a couple of long runs by star running back Jacob Mpungi, the Panther offense found its groove as it crossed the goal line for the first time at the 10:02 mark in the second quarter. Brown hooked up with senior wideout Michael Moten from 10-yards out, one of two touchdowns through the air for the duo on the night. 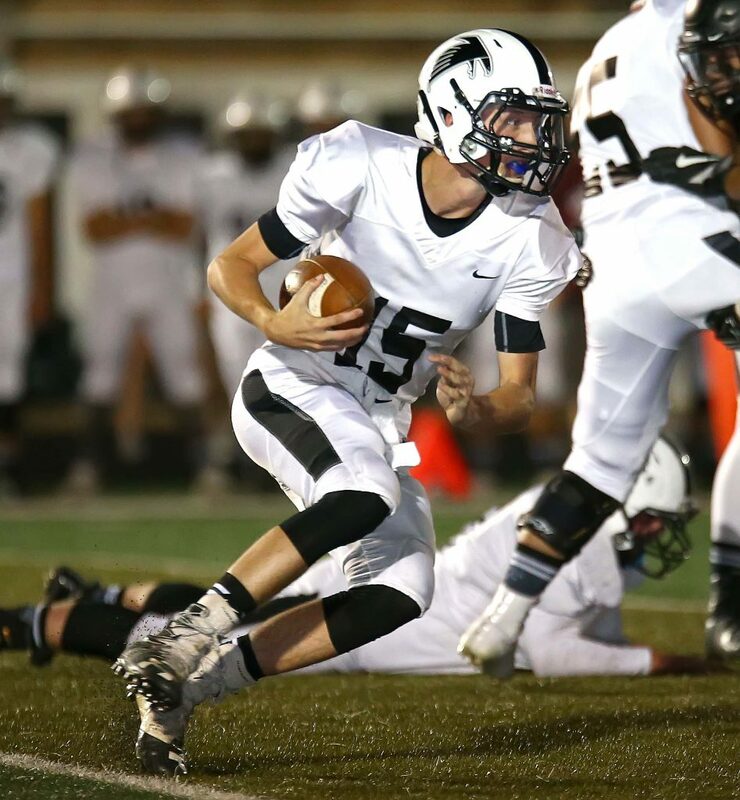 Four minutes later, the Pine View offense scored again as Brown tip-toed his way past the front-right pylon on an 18-yard scramble, contributing to his 15 rushing attempts for 81 yards. 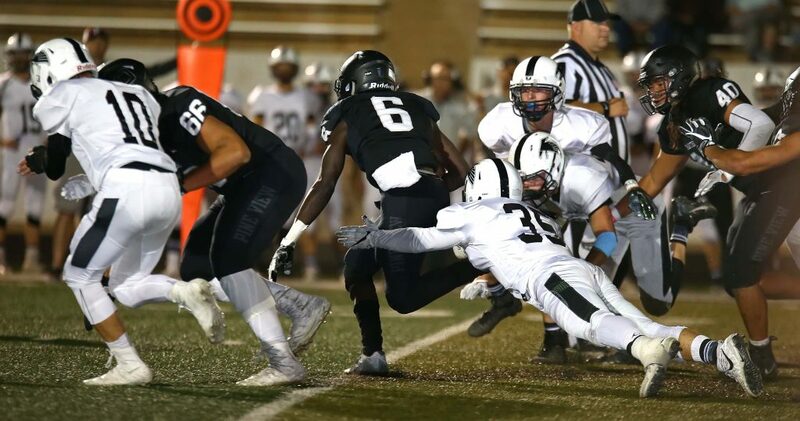 The score was made possible after junior Koa Katoa stole the ball from the defender’s arms on an under thrown pass over the middle of the field for 29-yards. The Panthers took the lead heading into halftime, 14-0. “Eventually, after halftime, once we got things going, things started to click a little bit more for us offensively,” Meier said. 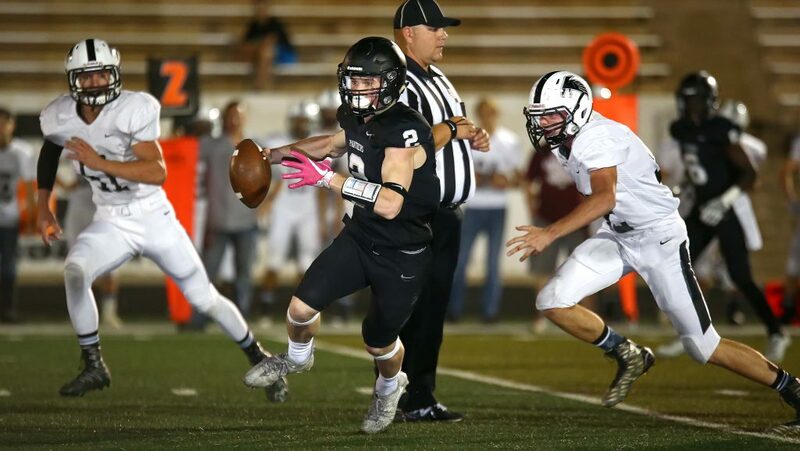 It didn’t take Pine View long to strike again as the Panthers chose to receive the ball to start the second half. After two running plays, Brown found Moten again down the side for a 65-yard bomb. Following kicker Connor Brooksby’s extra point, Panther nation exhaled as its team took a 21-0 lead. Just a play into the Falcons next drive, Allen decided one interception wasn’t enough as he intercepted the football and ran 45-yards the other way before being brought down by a Falcon player at the 4-yard line. Mpungi capitalized on the Canyon View turnover – the second of five on the day for the Falcons – by punching the ball in on a 4-yard run. Even with persistent effort, the Falcons failed to get any traction in the run game. When throwing the ball had a 50 percent chance of being intercepted, any coach may be somewhat hesitant to throw. Yet, the Panthers saw no end in sight regarding the possibility of being stopped on the ground. As the clock continued to tick, each offensive play for the Panthers was bigger and bigger. Canyon View’s D-line continued to get punished by the bigger and stronger O-line for Pine View. 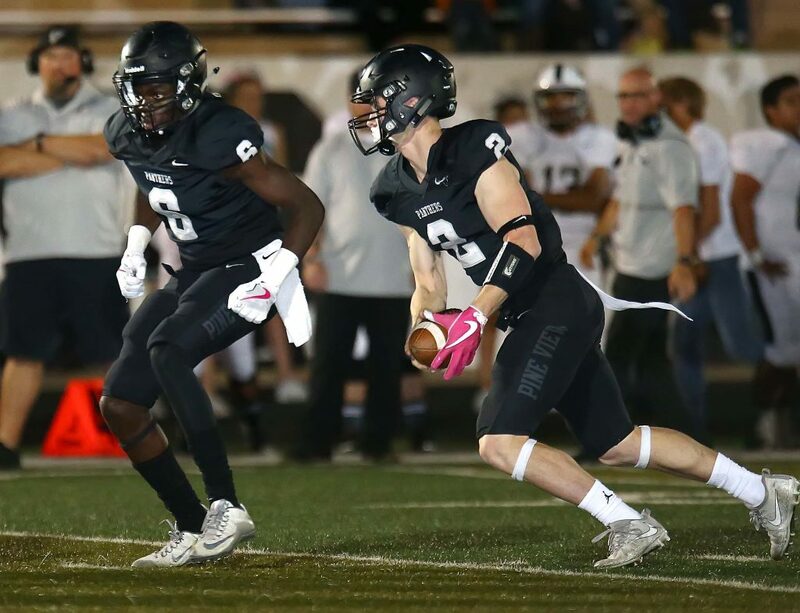 As the third quarter reached its final few minutes, the Panthers found the end zone twice – a rushing TD for Brown at the 3:17 mark and a 17-yard run for Mpungi, part of his 151-yard night, as the time expired – making the score 42-0 as the two teams headed into the fourth. 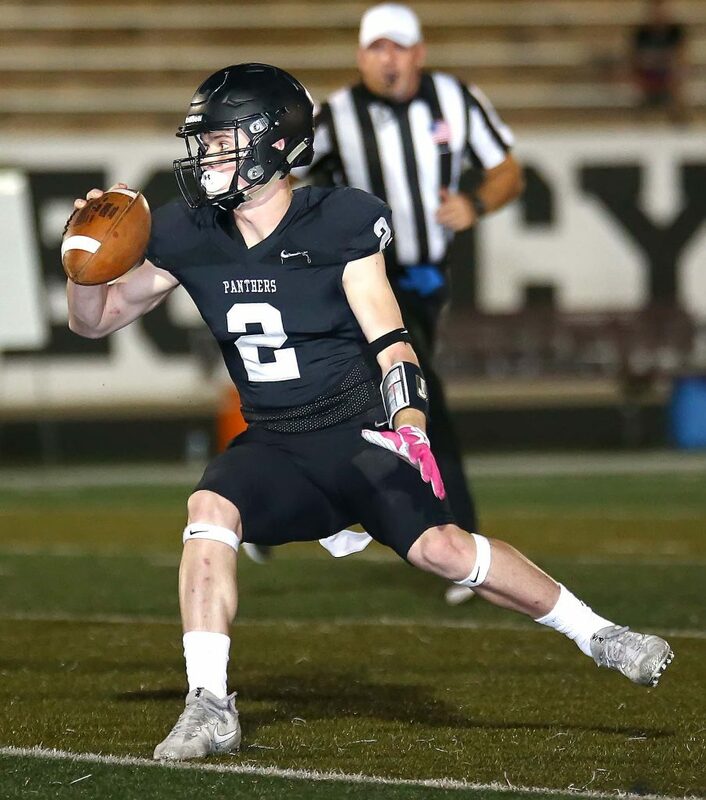 Ryan Javines, former Panther starting quarterback, made his return as he replaced Brown on the team’s second to last possession of the game. 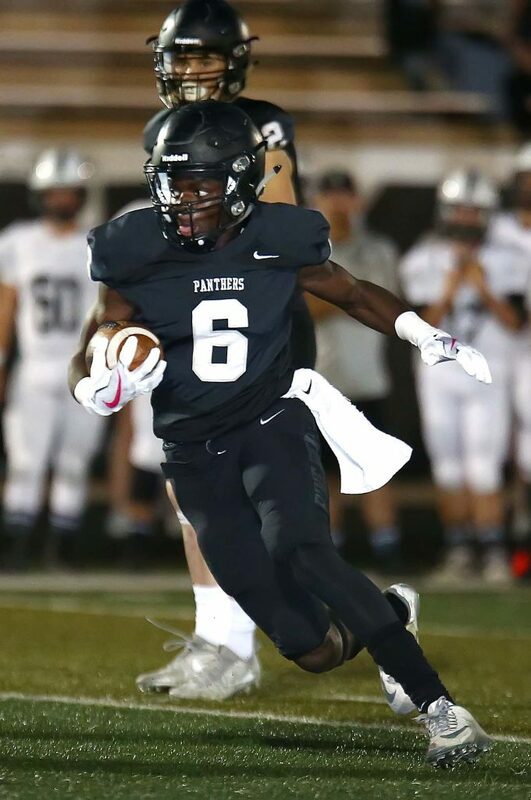 Having returned from injury, Javines helped move the ball both through the air and on the ground, helping the Panthers along to their 421 yards of total offense. 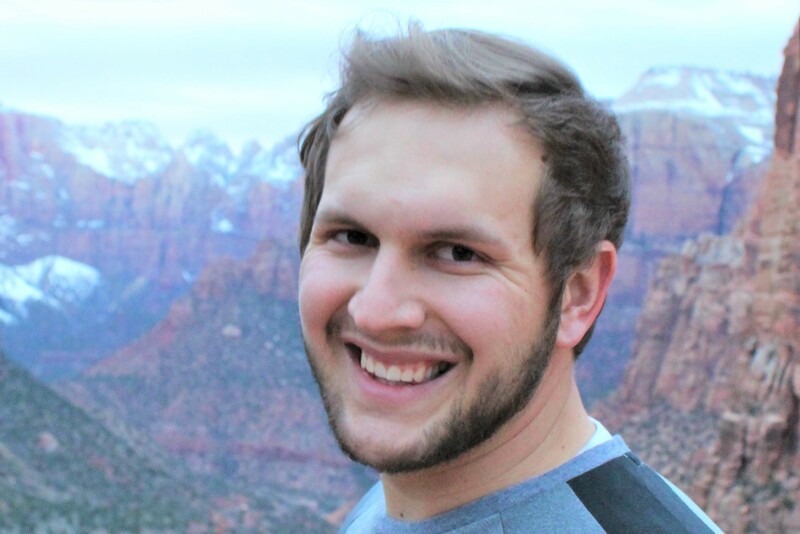 After several plays, Javines helped get the Panther offense into field goal range, enabling Conner Brooksby to score the game’s final points as he knocked in a 45-yard field goal from the left-hash mark, making the score 45-0. With its victory tonight and a Snow Canyon loss to Desert Hills, the Panthers secured the second seed among the Region 9 teams in the state tournament. 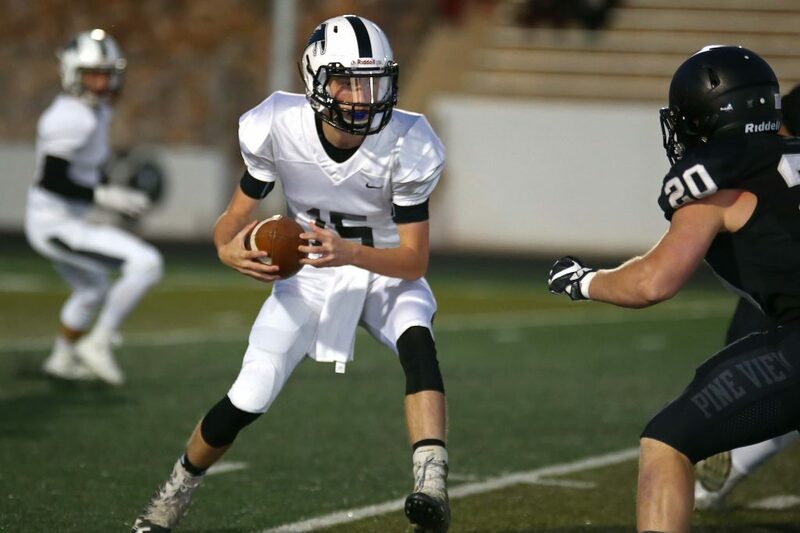 Pine View will host Region 11’s No. 3 seed, Tooele High School, Oct. 27 at Panther Stadium. As for the Falcons, there is always next year.